I received an email from Mr. Dubas informing me that I needed to see what a student had created for a project in his seventh grade social studies class. Being a former social studies teacher, I was immediately interested. I headed over to our middle school wondering what this could be all about. This particular students name is Ben, and he created a stop motion animated film with Legos using his iPad for a particular topic they chose in their social studies class. I watched it and was amazed at the creativity and mindset of this young man! I loved the higher order thinking and planning that went into this project. Take a couple minutes to watch Ben's finished product below. I think that you will be as amazed as I was the first time I watched it. Who says you can't CREATE on the iPad? This is a great example of what can happen if we empower students and allow them to create in our classrooms. I wanted to take this blog post a step further, so I invited Ben to do a guest blog post summarizing how he created this awesome stop animation film. Below the video is Ben's guest post. I hope you enjoy reading his blog post about how he created this wonderful stop motion animation for a social studies project. To achieve the ending result of the Lego Animation you can see today, I used the iMotion app for iPad and iPhone. This app allows you to easily create stop-motion videos for any media, but there are a few things I had to keep in mind. For those of you that might not be entirely familiar with Lego stop-motion or just stop-motion, it's the simple process of taking a picture for every frame of a video to form one, long video. The thing that makes it different from just animation is that whatever is being shot is being moved between each frame, therefore achieving flawless motion for an object that could usually not function movement on its own. Now, you might also want to keep in mind that this wasn't my first stop-motion animation, for when I was younger I used to use the family's old camera to make animations with Legos at home. But when I was given the opportunity to do a project with my school iPad, I instantly jumped to Lego stop-motion. I had spent a few weeks before-hand looking for a good animation app, but it wasn't until a while later when I found iMotion, a free (full version is $2.99 and all it does is allow you to export in 1080p or to YouTube) stop motion application that I could use for my school project. The app has three 'modes' of animation: time-lapse, manual, remote, and mic[rophone]. Time-lapse just takes a picture after every duration of time that you set before the animation (for example, it would take a picture every four seconds if you set it to four). Manual just has a button on the screen that you tap and it takes a picture. Remote, which is what I usually use for iPad animations, is where you connect the app to another device that has the app "iMotion Remote" which is literally just a button that you tap to take the picture for the other device (I used my iPod for the remote). This is extremely helpful for scenes with precarious lighting, which forces me to be out of the way of the camera when taking pictures, or in scenes where the iPad and its camera is in an awkward position and if touched, might move too much, which will furthermore ruin the flawless motion effect. The last is mic, which takes a picture every time it hears a noise of a certain set threshold (for example, I could tell it to take a picture only when it hears a noise as loud as my whistle, so whenever I whistled nearby, it would take a picture). The problem with this is background noise can mess up the animation or makes you end up sounding like a gorilla, hooting and hollering at what you hope is the right sound volume. The final part of the animation, which happens after all the pictures are taken and you hit the 'stop' button on iMotion, is the most crucial. FPS. Frames Per Second. This could mean the difference between a racing animation and a choppy scenery driving animation. What it means is before you export the animation, it asks you how long you want to give each picture screen time. 30Fps, or thirty frames per second, would show thirty pictures per every second of video. It should also be noted that iMotion can only handle about 210 pictures at a time, so scenes that are about 7 seconds can only have a maximum of about 30fps. I like to move the camera around a lot and film lots of different scenes, so one shot usually doesn't last more than 12 seconds and I usually record at an average of 8fps, which by most standards is pretty slow, but as fast as I transition to different shots, it's hard to tell if it is choppy or not. 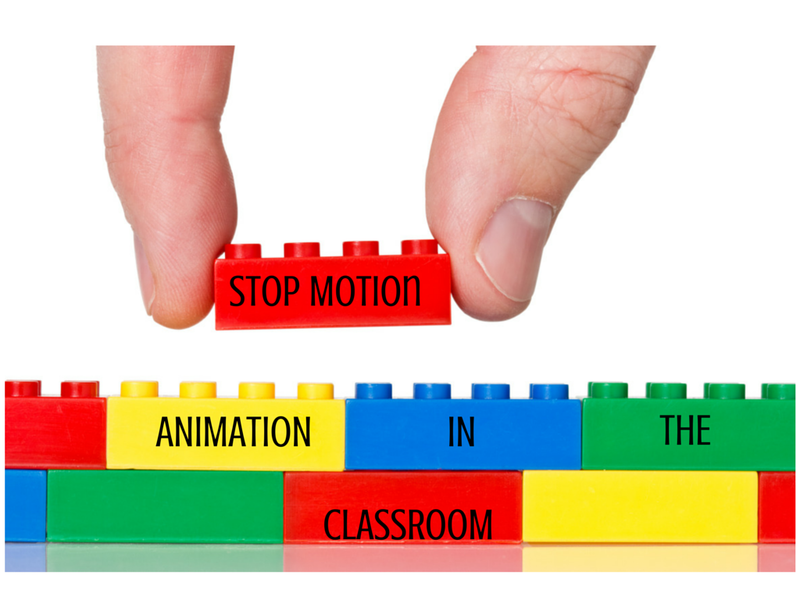 Either way, those are the ins-and-outs of iMotion for the iPad and basic (Lego) animation in general, but when it comes down to it, it's all about practice and patience. Thank you for reading, and I hope you learned something. Absolutely amazing! Goes to show what kids can do when they are allowed creativity. Awesome! Thanks for sharing. It will inspire my students.